Coming up next month I have a scheduled Film Noir Blogathon. If you haven't joined and want to, you can sign up here. In 1982, a young 20-something guy (me) went to the drive-in to see the newest Steve Martin flick. Comedies and humor were my bread and butter, so I was prepared for a hilarious goofy movie. After all, I had all of his albums, and had seen him in numerous skits on Saturday Night Live, and had recently seen his first starring movie The Jerk. It was pretty much a foregone conclusion that this would be as outrageous as the rest of his stuff so far. Unfortunately, the humor was subdued this time around. To be sure there were some funny moments, but they were so laid back you would be forgiven if you missed some of them. 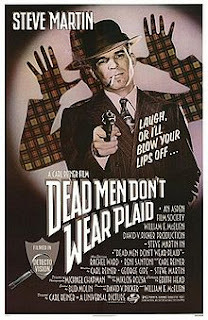 A lot of the humor depends on an ability to see the conventions of film noir movies that the Martin movie is parodying. I have to admit that some of it was lost on me at the time. These days I do get the subtle parts of the humor. 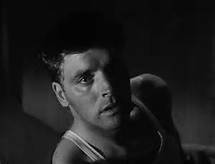 Fortunately, for me, I came away with something even better; a love of the old film noir movies that were part and parcel of the parody that Martin and Carl Reiner, the director, had made. You get to see the gritty, hard-boiled dialogue from the original movies, much of which was the basis for the direction the parody took. 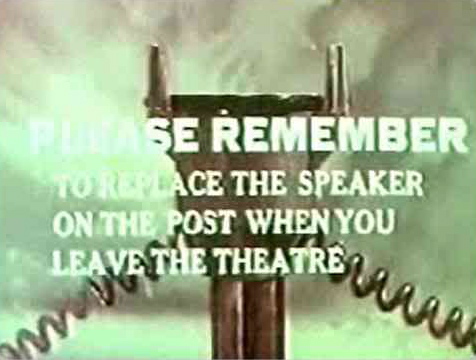 Some of the story line has been fashioned to make use of those clips. For instance, the latter part of the movie makes extensive use of The Bribe, in which the central character was named "Rigby". This is obviously the reason why Martin's character is named "Rigby" Reardon. A voice over, provided by Rigby Reardon (Steve Martin) tells of a dull day and a slow work period at his detective agency, when a knock on his door reveals a very attractive woman (Rachael Ward). She faints into his arms, but he revives her (in a very unorthodox manner, but what the hell, results matter...). She reveals she is Juliet Forrest, daughter of the aforementioned cheese whiz. She hires Rigby to investigate the suspicious circumstances surrounding her father's death. She claims that he wrote lists of names constantly, and has a piece of a dollar bill which she claims is proof there is some underlying conspiracy. She gives him a key to her father's office in the seedy part of town. When he goes to check out the office he finds two separate lists labelled "Friends of Carlotta" and Enemies of Carlotta". 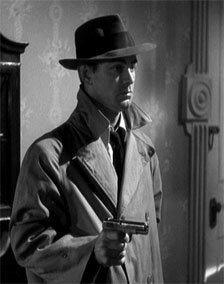 While there, a mysterious man who calls himself the "exterminator" (Alan Ladd) drops by. The exterminator shoots Rigby and steals the lists. Rigby manages to stumble back to Juliet's residence where he first encounters her butler (Carl Reiner). Juliet removes the bullet from Rigby and gives him some info about Kitty Collins (Ava Gardner), a singer whose autographed picture Rigby found in the office, and tells him about her alcoholic brother-in-law Sam (Ray Milland), whom her father gave a dollar bill to for safe keeping. Trying to find out where Sam might be he calls Juliet's sister, Leona (Barbara Stanwyck), who proves to be incoherent and unhelpful. Rigby finds Sam and trades for the dollar bill, which proves to have another list of enemies. He tracks down Kitty Collins who transfers a list to him of "Enemies of Carlotta". The names are all crossed off except one, Swede Anderson (Burt Lancaster). Rigby finds Swede, but before he can talk to him, Swede get shot, as does Rigby (in the same hole as he had been shot the first time...). 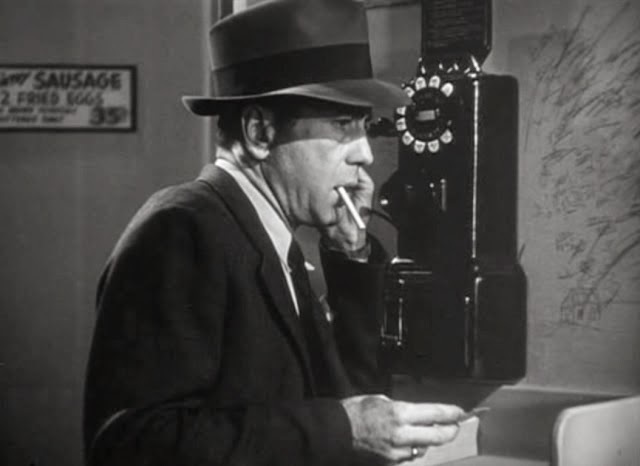 Rigby calls in for help from Marlowe (Humphrey Bogart) who is his teacher, of sorts, and a great source of inspiration throughout the movie. He gives Marlowe the list to check out and goes to the train station with a key given to him by Juliet. The locker has more lists. 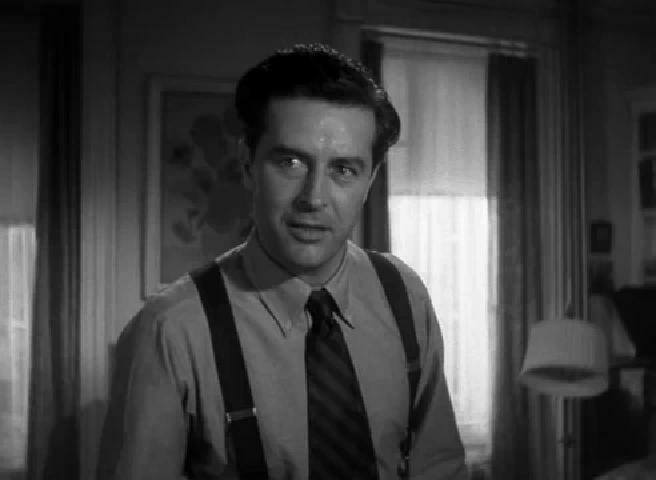 After an encounter with a stranger (Cary Grant), he goes to a party held by F.X. 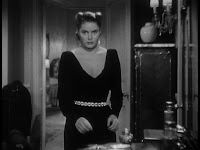 Huberman (Ingrid Bergman), who drugs him. 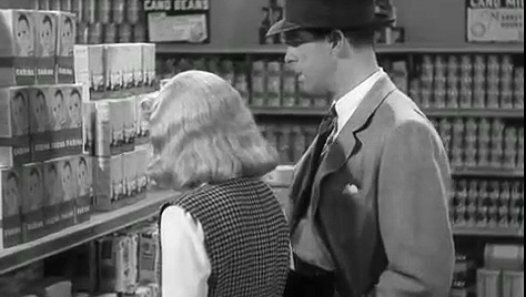 After learning that there is something suspicious about the German cruise ship Immer Essen, which was the last cruise Sam Hastings had taken and is owned by Walter Neff (Fred MacMurray), Marlowe calls with some info and tells him Neff cruises supermarkets looking for blondes to hook up with. After fruitless efforts trying to con one of his old blonde acquaintances (Veronica Lake, Bette Davis and Lana Turner), Rigby decides to try it dressed up as a blonde. 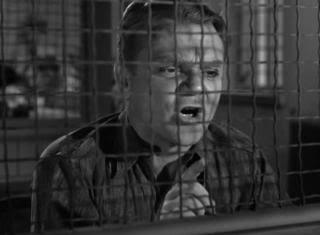 While at Neff's apartment Rigby finds more info about the Immer Essen, including an article about the captain of the cruise ship, Cody Jarrett (James Cagney) who claims he was framed because he "knew too much". Rigby dresses up as a woman again, this time as Jarrett's mother, to go to the prison and quiz Jarrett. He ends up posing as a prisoner, but it turns out that Jarrett is a "Friend of Carlotta" and has planned an escape, and takes Rigby along. And ends up shooting him (again in the same bullet hole as the previous two...). 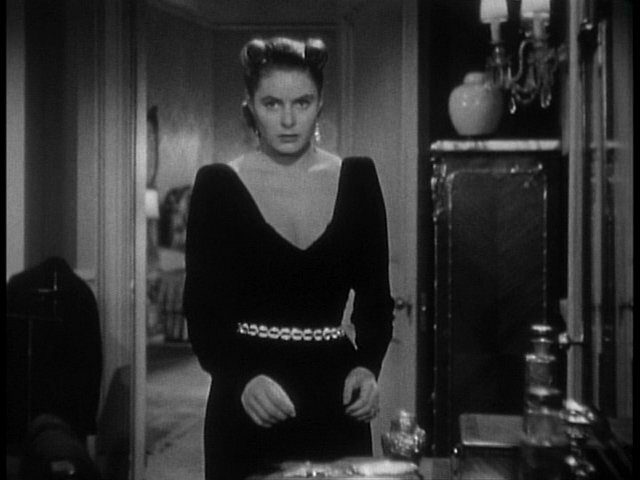 Juliet overhears Rigby relating to an ex-lover, Margaret (Joan Crawford), how he planned to settle down with Juliet. But she only hears part of it and thinks he is using the same line on Margaret. Embarrassed, she cancels her contract and leaves him to himself. He decides to finish out the case on his own. 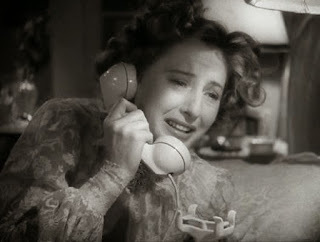 Marlowe calls and tells him where "Carlotta" is (it's an island off the coast of Peru). The movie The Bribe provides most of the location and cast encounters for the tail end of the movie. 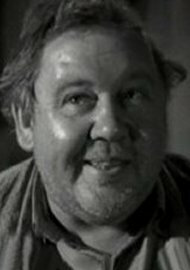 Both Charles Laughton and Vincent Price are villains Rigby must defeat. But even this is not the ultimate end. No. As in some of the post-war film noir movies, the ultimate villains are Nazis who want to inaugurate a Fourth Reich, in this case led by Juliet's butler who was in fact an officer in the Nazi army during the war. 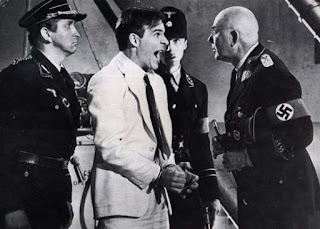 They plan to destroy the U.S. using a weapon developed, unwittingly, by Juliet's father (George Gaynes), who is in fact still alive, but a prisoner of the Nazis. I've given away a lot of this movie, yes, but I think you still might find it as enjoyable as i still do, watching it solely for how Martin and the writers incorporated a lot of fantastic film noir clips that seamlessly intersect with the plot and characters of the modern day movie set. 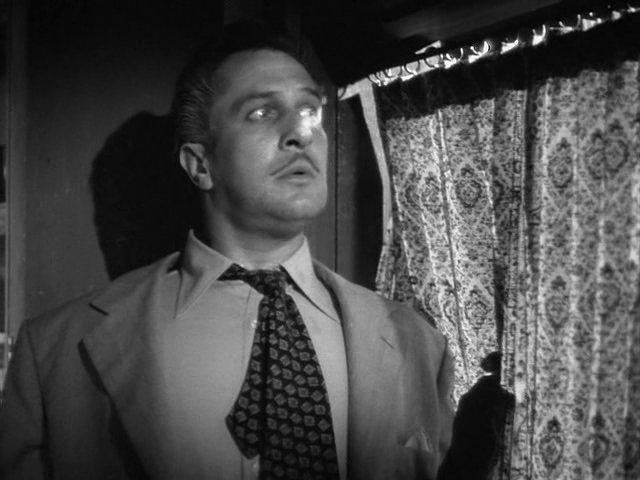 As a bonus here is a list of the film noir movies that were used in the film. Hope you folks enjoyed today's romp through comedy and noir intrigue. Be sure to sign up for the blogathon if you are interested. See you next week at the drive-in. So long from the back seat. Hi Quiggy, can you believe I have never seen this film? It looks brilliant, with all the cameos and clips of my favorite 1940s stars, artfully intertwined into the new plotline. Must check this out for sure! Considering we have the same tastes for the most part in movies, I'm sure you'll like it. Thanks.